Here at the Urban Dubz HQ we are blessed to get listen to and promote a huge amount of new music from a large amount of up and coming artists, some of whom for one reason or another some may not have heard of before. So, they are kind of broken to a new audience from the airplay that they receive after they’ve been through our doors but in the case of Don Silver. He has been there before got the T-Shirt. Made music, put it out, it’s turned into hits made money albeit in his native country of France even having worked with massive, massive artists such as Jason DeRulo to name but a few. His early introduction in the business was as a vocalist – a Rapper to be exact. Ever the intrepid music aficionado, there has been a few times when I’ve been drawn to the pull of French Hop-Hop. There are some great artist doing great things over there from the days of MC Solaar, to a dude called Espiiem I’m really feeling at the moment. Also, a producer by the name of Astronote is bringing that heat too. Don Silver comes from a rich French heritage. As the UK seems to be lost in confusion of Brexit people are definitely looking over the pond and the days of purely English acts dominating the scene are long gone. Music is and has always been international medium. 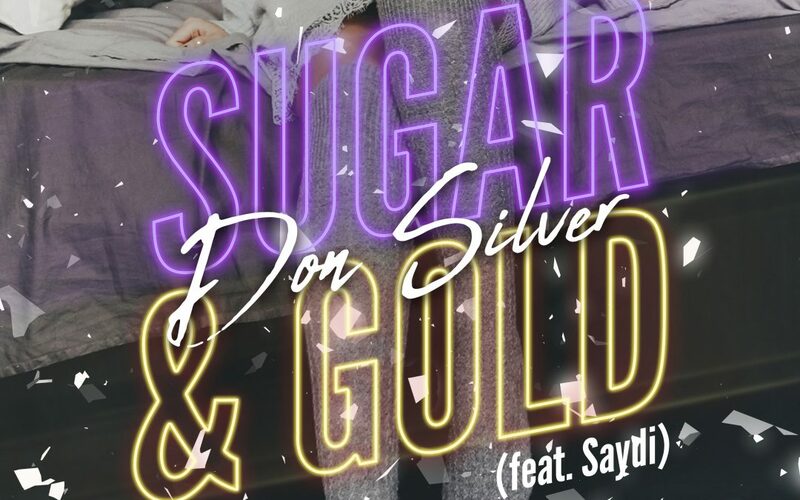 The track in question Sugar and Gold is a departure from Don Silver’s Hip Hop roots. Its decidedly commercial than some of his earlier releases. I would describe it as Nu Wave Electronic Pop – a huge, huge international market. Lyrically the song has a catchy hook, clever in places. The vocal arrangement is really good – pleasant/Sweet to my ears. Vocalist Saydi has the perfect voice over Don’s production a few names that spring to mind to give the heads up are; Debbie Harry from Blondie; Roxette; Nina Persson from the Cardigans, you get the picture. Four + Four drum pattern with quirky 808 seasoning over the top. Arpeggiators on the synths. Almost like a lower tempo disco music for the new millennium. We here at Urban Dubz think it’s got a lot of potential. Why don’t you see for yourself?